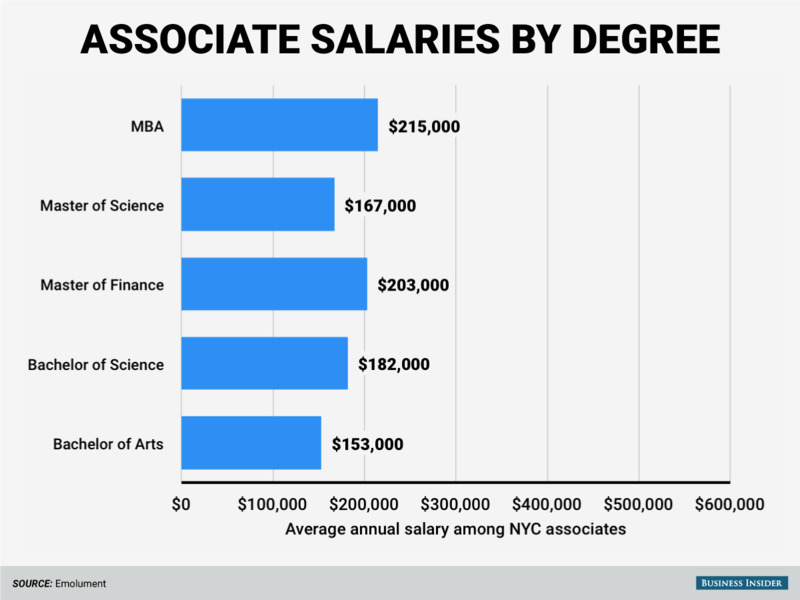 Wall Street professionals come from a variety of college degrees and majors , but there is one degree that's more lucrative than any other. 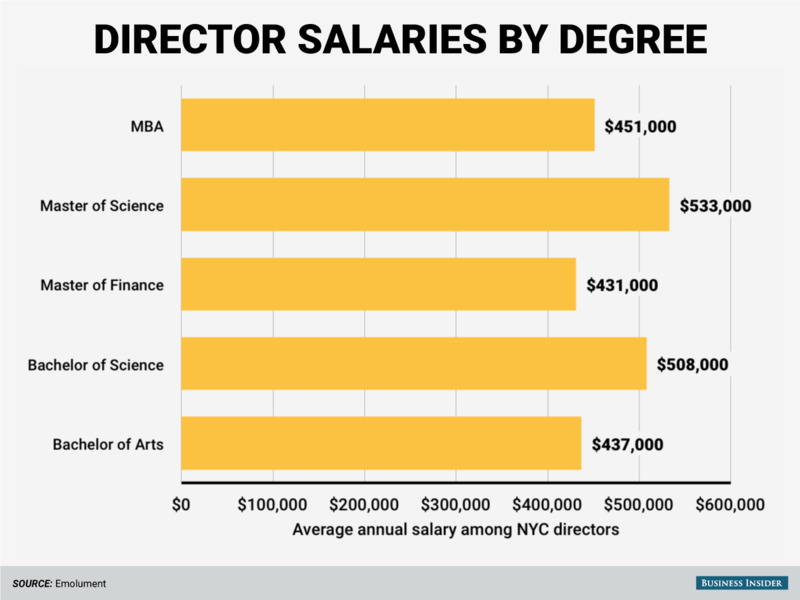 Executive MBA and MBA holders earn the most money of all finance professionals, according to Emolument , a salary-benchmarking website that collects self-reported pay data. Emolument gathered data on 840 finance professionals in New York at the analyst, associate, vice president, and director levels and looked at which degrees earned them the most money. Respondents come from a number of firms, including Citigroup, JPMorgan, Deutsche Bank, Barclays, and Bank of America Merrill Lynch, as well as smaller banks, asset managers, and hedge funds. They are all front-office professionals, and two-thirds work at banks while one-third work the buy side. Of course, it shouldn't come as a surprise that executive MBA and MBA holders earn the most money. They come in on top largely because Wall Streeters typically take those programs later in their careers. 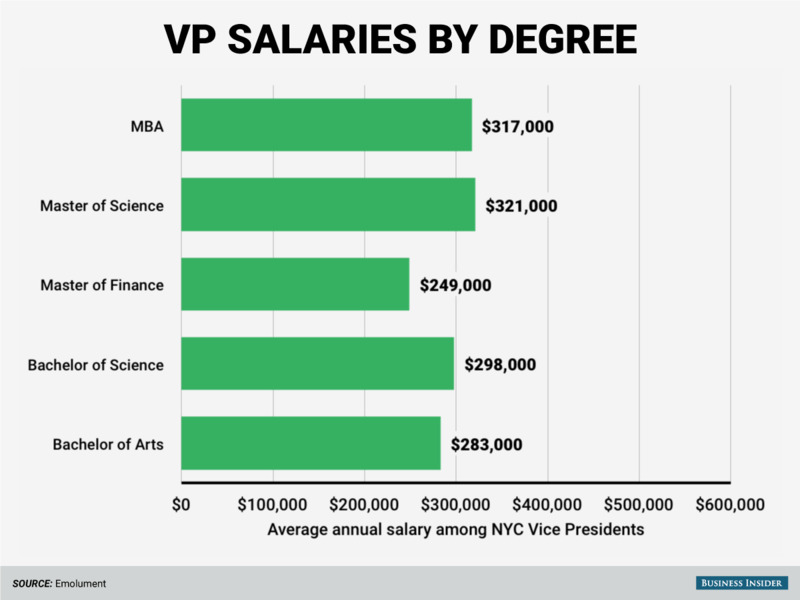 So the majority of people with MBAs are going to be vice presidents and directors, and therefore higher earners. 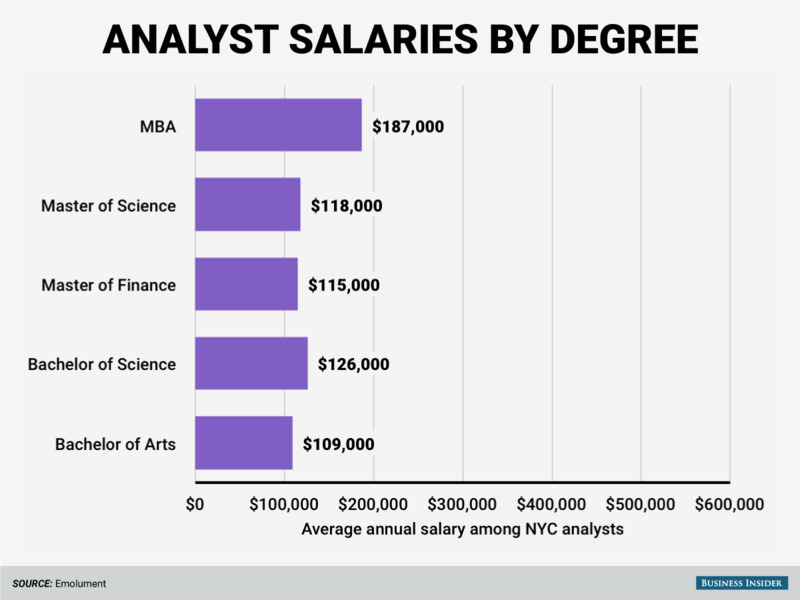 Still, the data helps shed some light on how much Wall Streeters earn at various stages of their careers based on their college degrees.